Kit includes 4 replacement bearing seals. Enough for one bottom bracket. 6805 bearing size is used with Shimano, SRAM GXP, FSA, Race Face and Rotor 24mm spindles. Also fits Campagnolo Ultra Torque bearings. 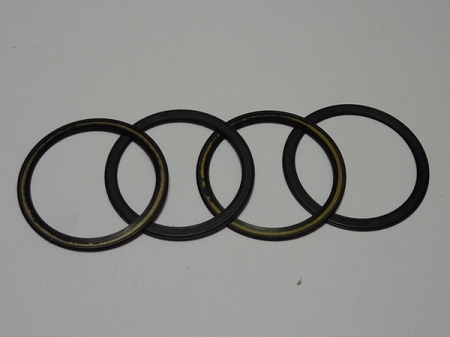 For road bikes, select ROAD seals, for CX, mountain bike and commuting select CROSS seals. Quality ceramic bearings set the gold standard for ball bearings in bicycles. Silicon Nitride combines a set of material properties that make it perfect for bicycle bearings. The material is hard, resistant to wear, can be made into perfectly round balls with super tight tolerances and can be polished smoother than any metal. On top of all that, the material does not rust or oxidize. Our races are made out of hardened steel and are polished to a mirror finish. These steps are necessary to make a perfect match between the hardness of the balls and the races.